We know working with Estate Agents can be stressful. Receiving barely enough information for you to do your job? Being chased for reports and updates at just the worst moment? We know your pain! Sorbet's suite of property maintenance software eases the problems by making the communication easy and instant for everyone involved. 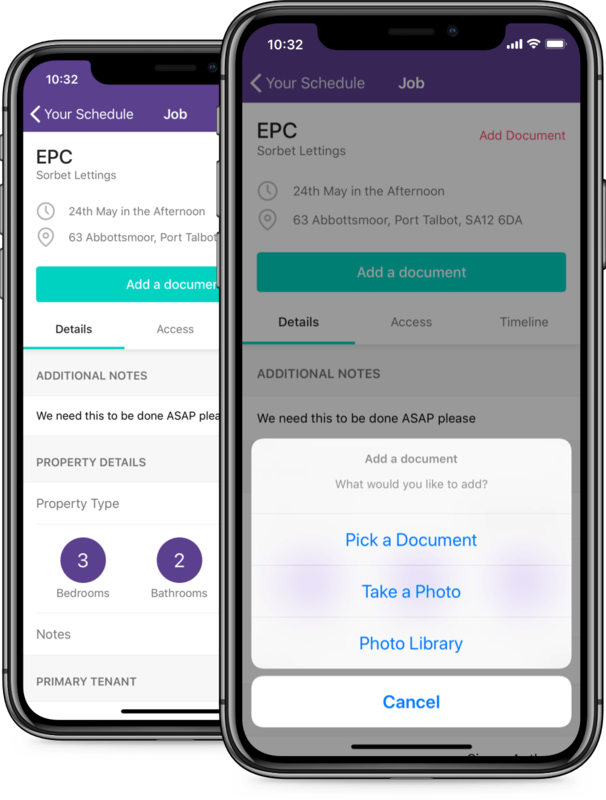 Download the FREE Contractor app to receive and manage your work. Say goodbye to endless job sheets, work orders, emails requests and messy paperwork. Our job management tool gives you everything you need to manage and track jobs as they move through your workflow. 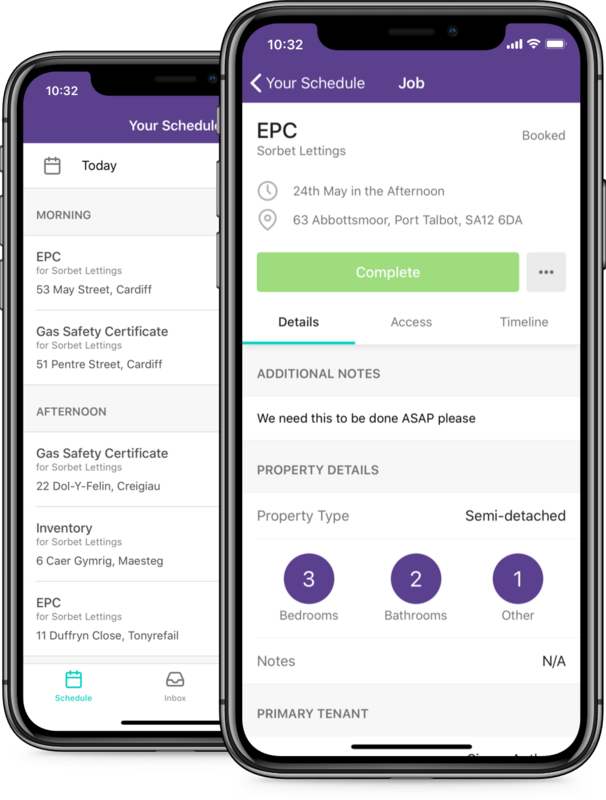 The Sorbet Contractor App helps you manage requests from multiple Estate Agents. Use the one single diary/schedule for all your work. Get clear and detailed job requests direct to your phone and accept/decline in just a few clicks leaving you to get back to work. Access to tenant details is restricted to open jobs and are automatically deleted once the job has been completed. Quickly send back completed reports, certificates, photos or even invoices on site or in the van. Use chat to quickly let tenants know if you are running late, rearrange access, or even ask for more information and pictures before you get to site. When a new job is requested or a job is changed, your team will be instantly notified via the mobile app, no matter where they are. No more email! We automate much of the repetitive communication, from letting the Agent know when you have completed the job to informing the tenant of the date of Appointment .